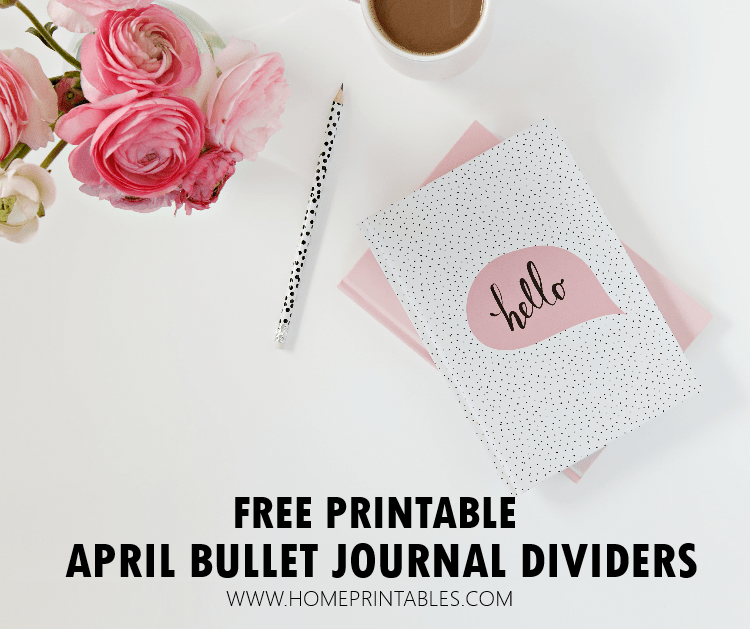 10 FREE April Bullet Journal Cover Printables: ALL Pretty in Florals! We’re happy to share our latest collection of free April bullet journal cover printables today! If you’re looking for a cover divider for your diary or planner, we have ten designs for you to choose from, scroll down and take your pick! They are all pretty, inspired the beautiful blooms of the Spring season! Are you looking for a divider for your journal? It always feels great to have a pretty divider for your journal, isn’t it? That is why, today on the blog, we are giving you several beautiful choices to download and print. So if you’re currently on the lookout for April bullet journal cover printables, you might be able to spot a cover to use from our collection. Keep scrolling to view what we have for you! 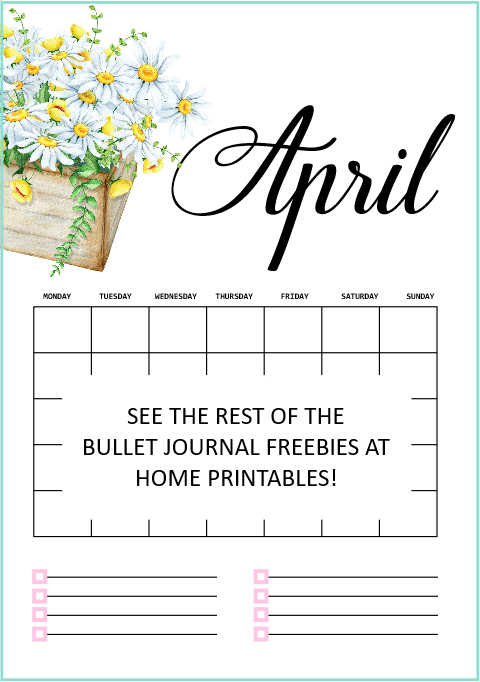 The April bullet journal cover printables that we have here come in various styles and formats. They all designed with beautiful spring florals to bring in the freshness of spring to your monthly journaling. Thanks to Denisse Ann for the floral elements we use. They’re so cute! Ready to take a sneak peek to the cover dividers we’ve included? 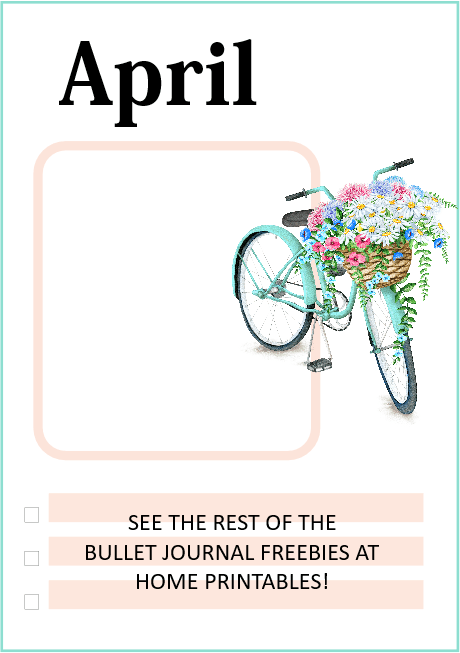 In the download, you’ll find beautiful April bullet journal dividers like the ones below! Say hello to April with this spring-themed journal divider! Won’t journaling be inspiring with a pretty cover like this one? We’re digging the gorgeous floral baskets that adorned the page! So refreshing! As we’ve said earlier, the dividers come in different formats, like this next one that we’ve got! The April bullet journal divider comes with a blank monthly calendar that you can use to organize your schedule. You can even use it as a habit tracker or a meal planner! You may also check our free printable April 2019 calendars here! Next up is another journal divider with to-do list this time! This page will help you identify your monthly priorities in one spot! So what are your major goals for the month? Write them down! View All 10 Designs of April Bullet Journal Cover Printables! Discover the rest of the designs in your download. You’ll be getting a total of 10 styles to choose from, and we hope that you can spot a cover to use! These dividers print in A5 size paper. Ready to get the files? It’s easy! Just pop over to the link below! CLICK HERE TO DOWNLOAD THE FREE JOURNAL DIVIDERS! Lastly, you might also want to view the Free Spring Planner and rFree April Planner released at Shining Mom. These two planners are both very lovely; they will surely help you organize the month. Happy planning!